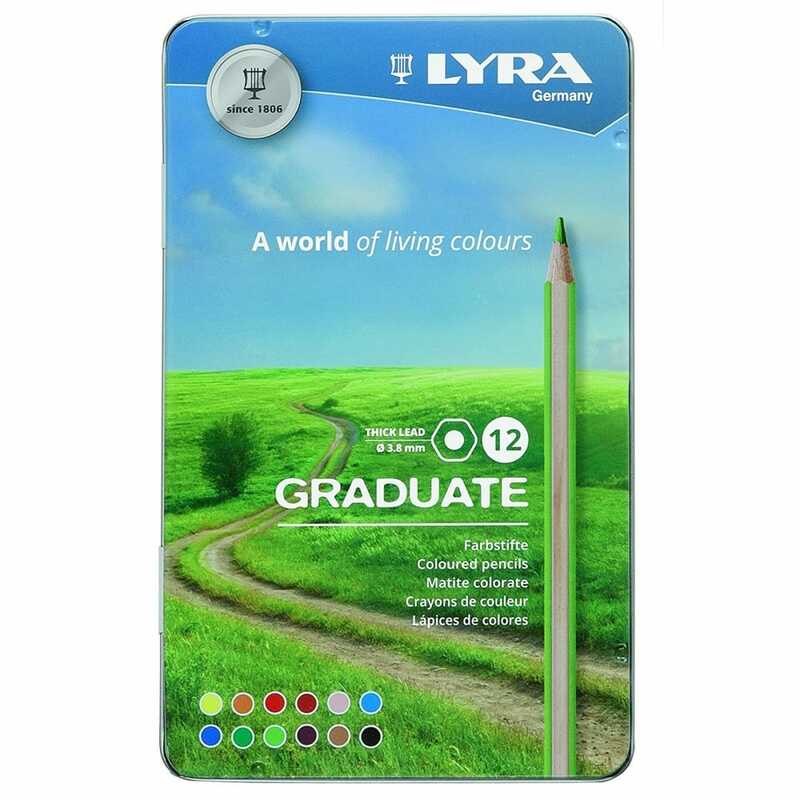 This set of bright coloured pencils are rich in colour with a 3.8mm lead made from cedar wood which makes them easy to sharpen. The 12 colours are stored in a stylish tin ideal for putting into your bag with a sketch pad and while you are out and about sketching then just add a splash of colour to your latest project. Suitable for children, students and for all colouring enthusiasts, the tin of pencils are a great starter set and to give as a gift.